We have gained a remarkable position in the market that is involved in offering UPVC Pipe Clamp. 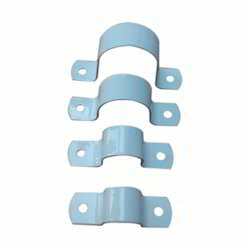 Powder coated U-PVC clamp available in various sizes. Techno Rubber Plastics & Co.